T​hey set off​ from University​ together​,​ making music as Worry Dolls. 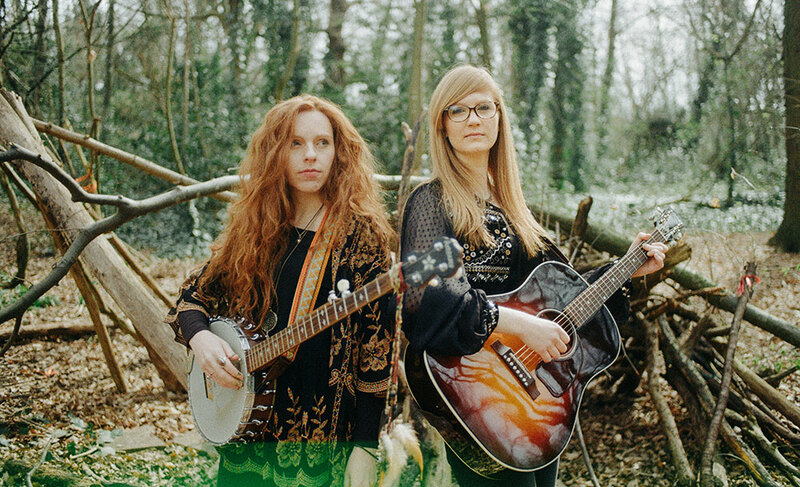 It was a new sound, blending the tender urgency of Zoe’s Irish-influenced voice with the fiery integrity of Rosie’s vocals and rhythmic guitar. Zoe transferred her fingerpicking skills to ukulele, followed by Earl Scruggs-style banjo, motivated by players like Emily Robison (Dixie Chicks).​ These days playing piano has been added to the live performances and Worry Dolls frequently perform with a band.​ They have also started touring in Europe spreading the special blend of UK Americana folk rock.